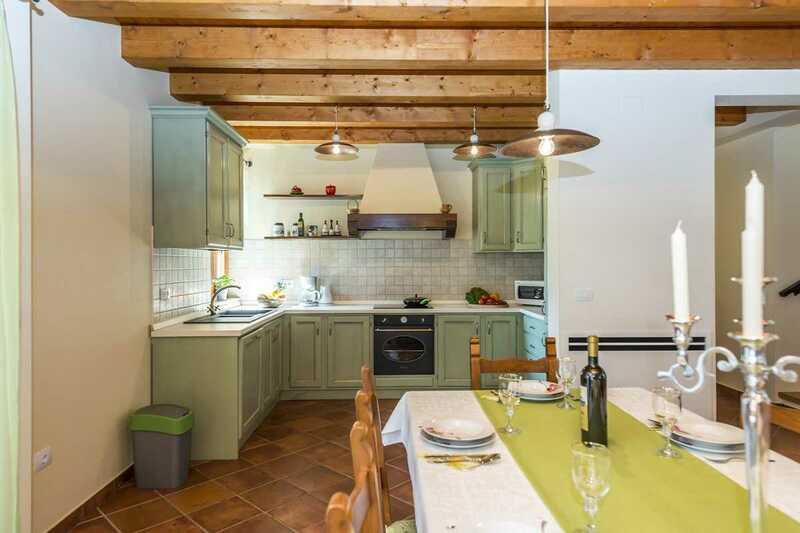 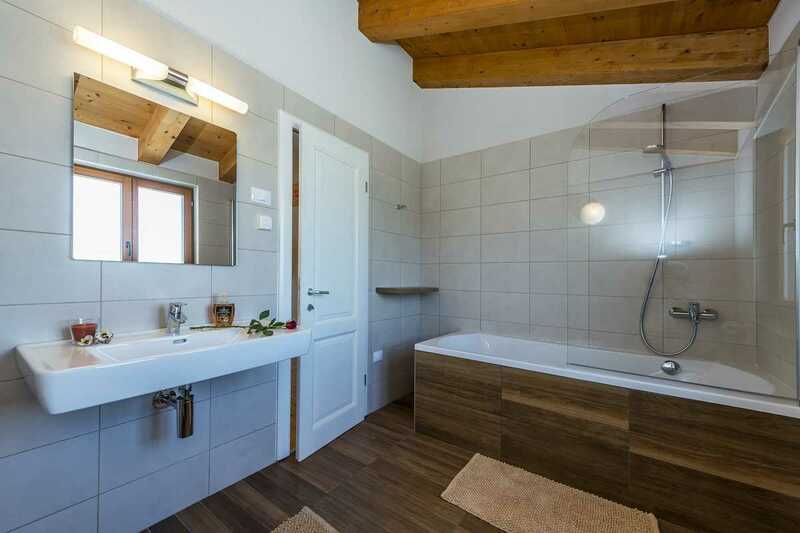 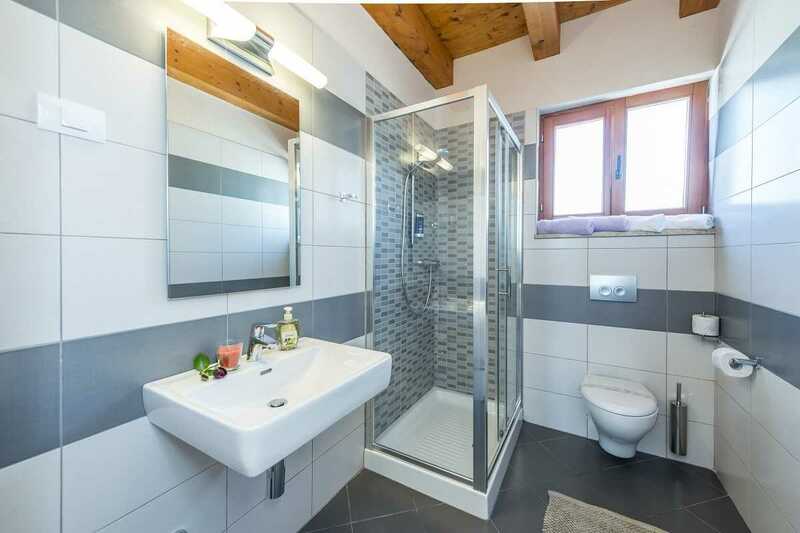 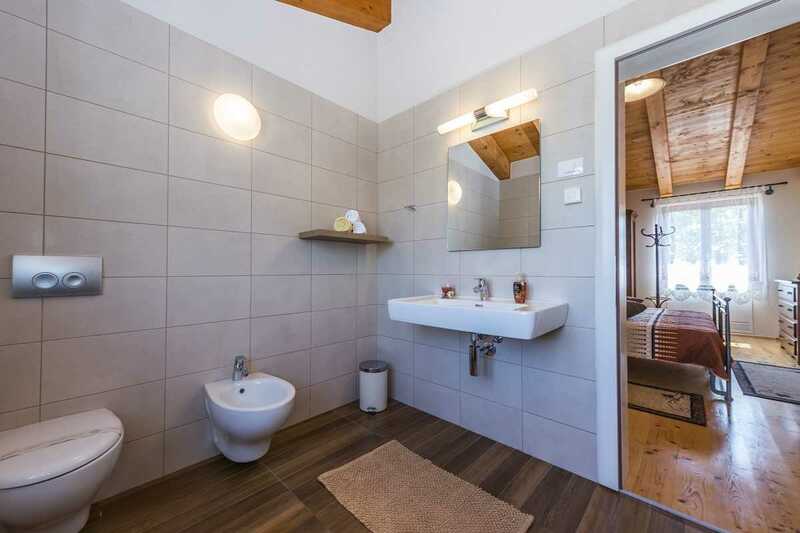 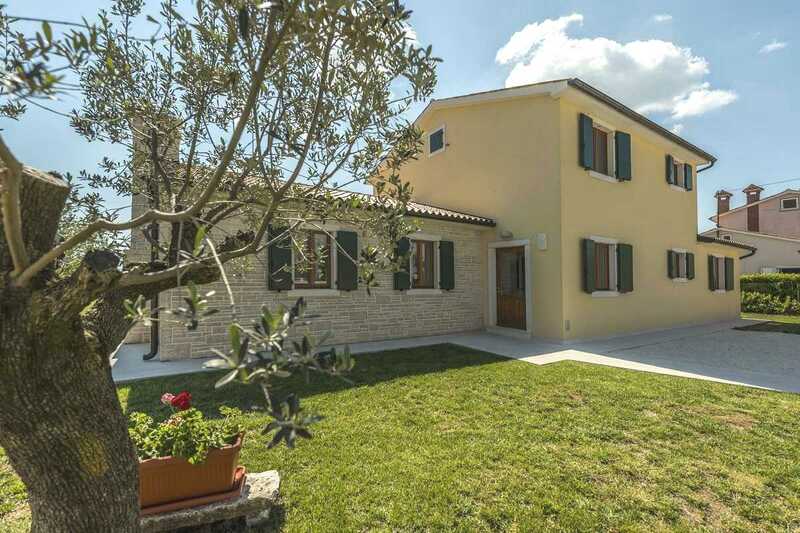 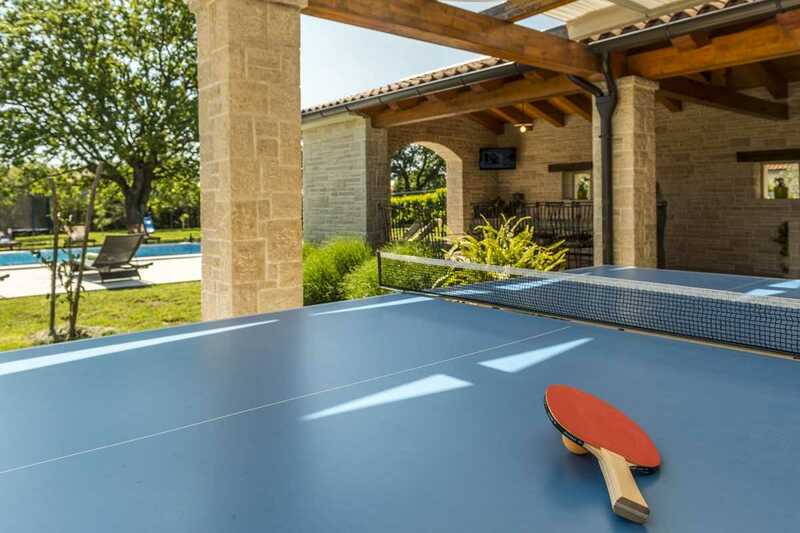 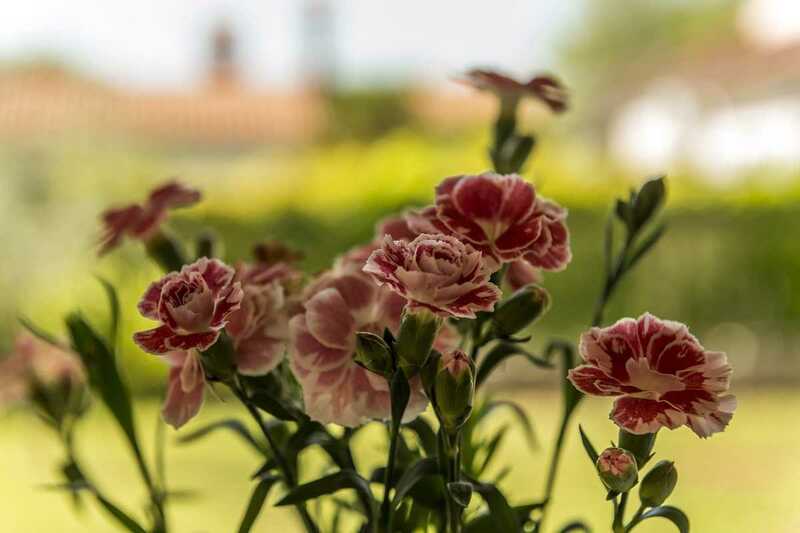 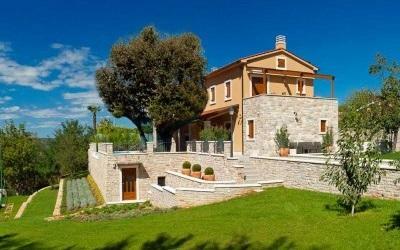 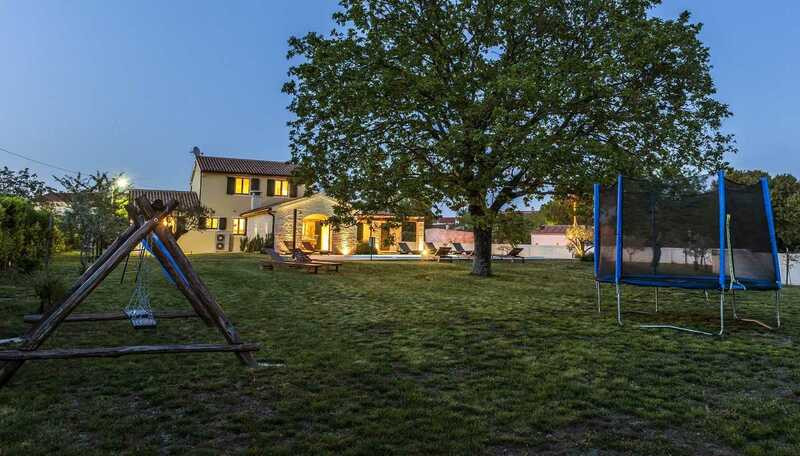 Family Villa in Istria with pool and privacy for 8+2 guests is located in the small village Harboki, on the east side of Istrian peninsula. 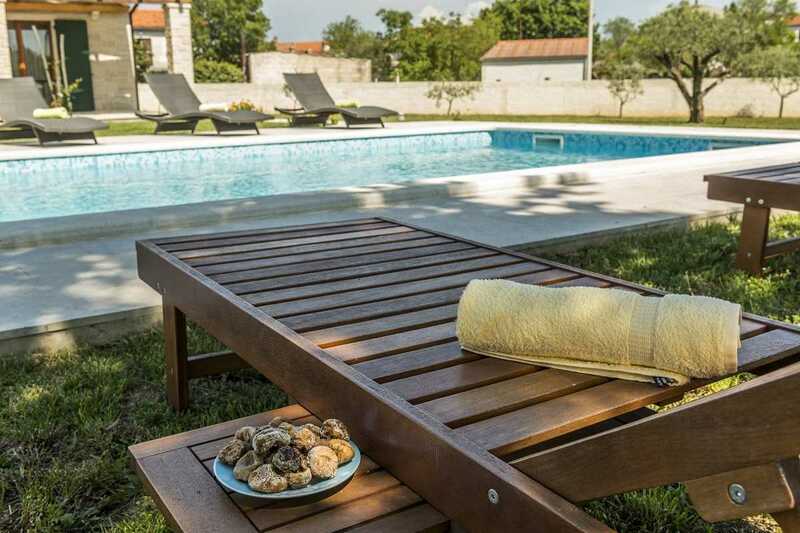 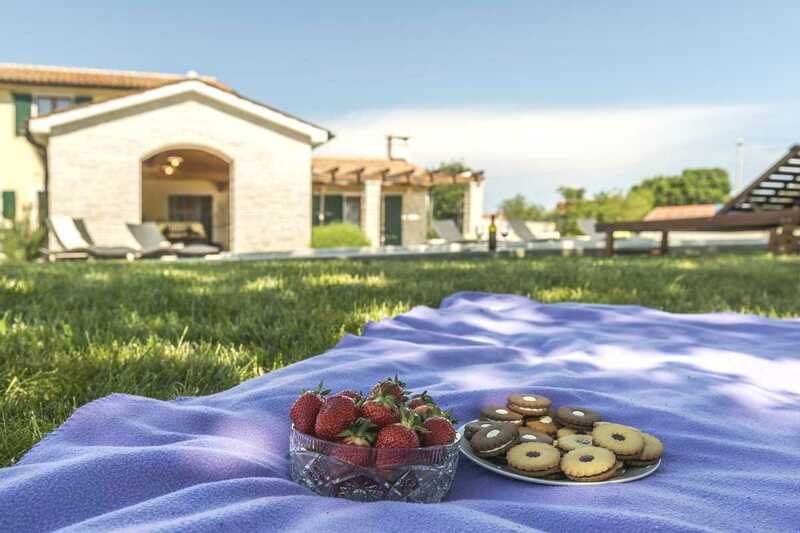 Location of the Family Villa in Istria offers a perfect balance of peacefulness and private enjoyment away from a city rush and tourist crowds matched with short distance to all major peninsula cities. 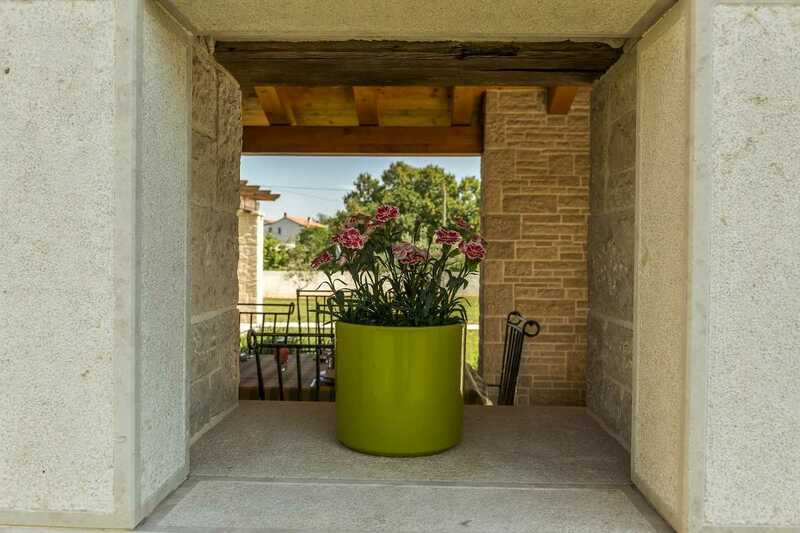 Pula, the largest city of Istria, just 20 kilometres away from the villas in central Istria is world famous for its stunning coliseum, an ancient amphitheatre that was built during the 1st century while Roman emperor Vespansian ruled this part of the world. 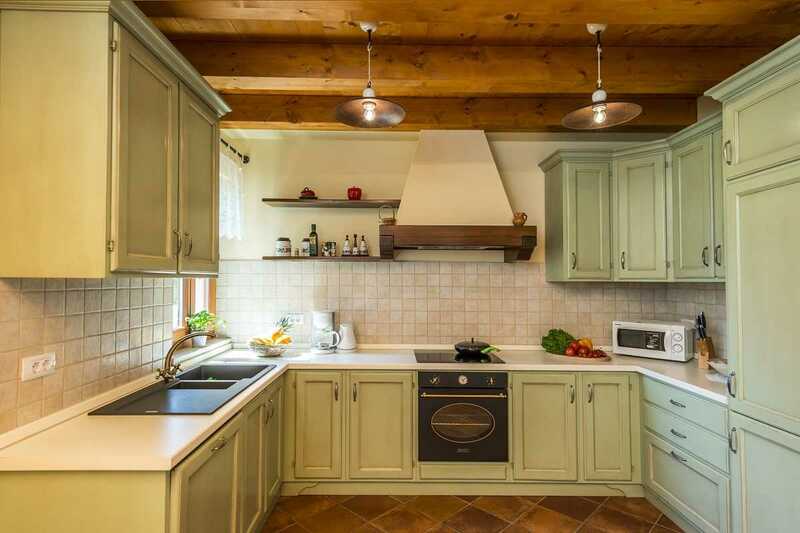 Beside cultural and historical beauties, Istria offers unique gastro experience, well known in this part of the Europe. 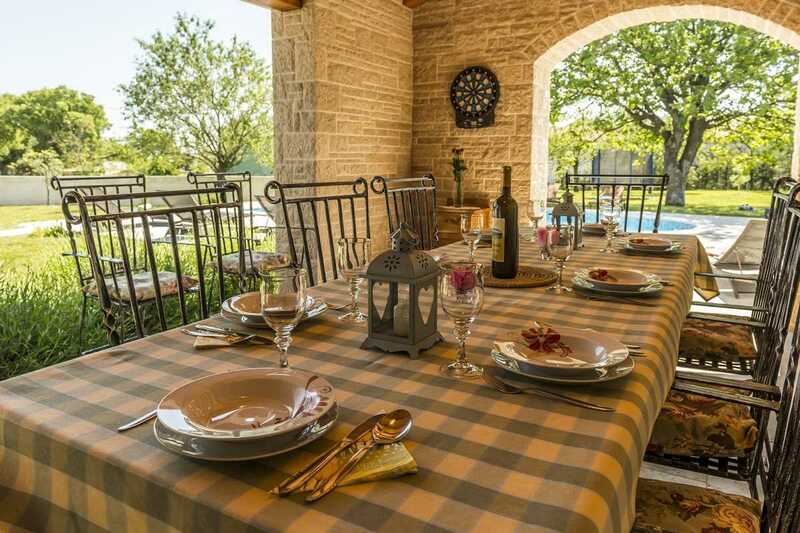 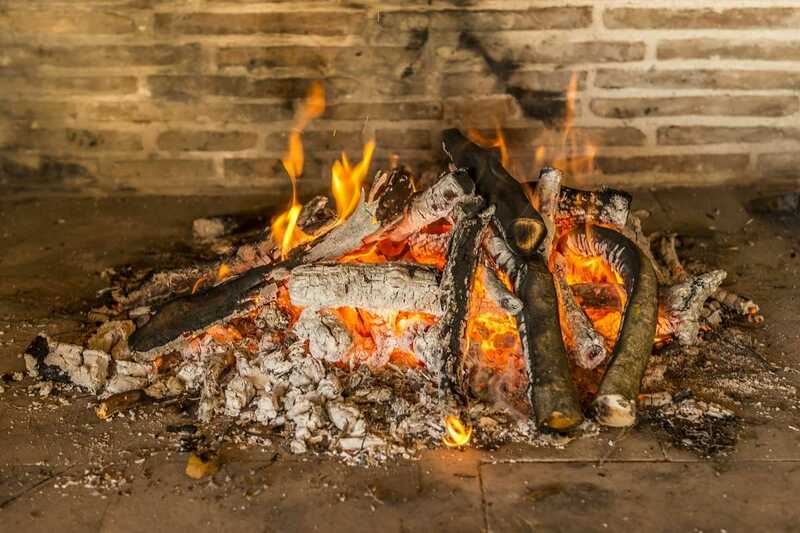 Home-made Istrian prosciutto (pršut), wine, Istrian pasta (fuži) are just a few of many delicious gastro pleasures Istria can offer for a true experience of Mediterranean home-made cuisine. 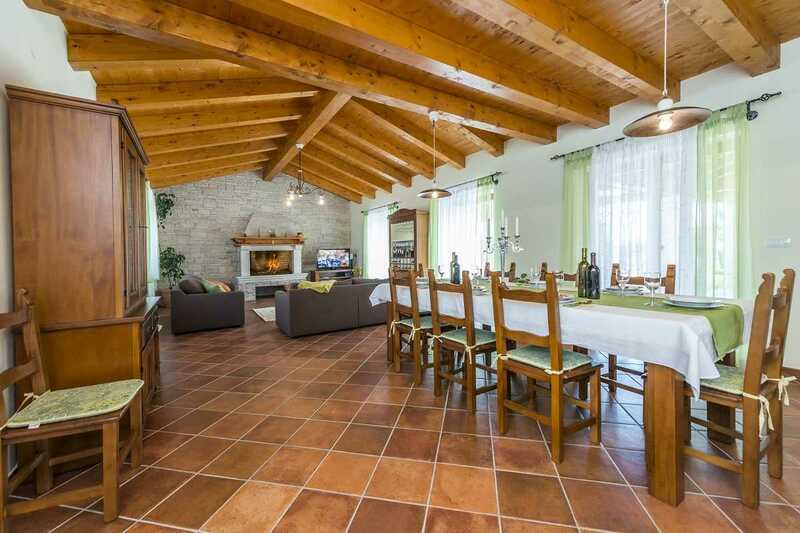 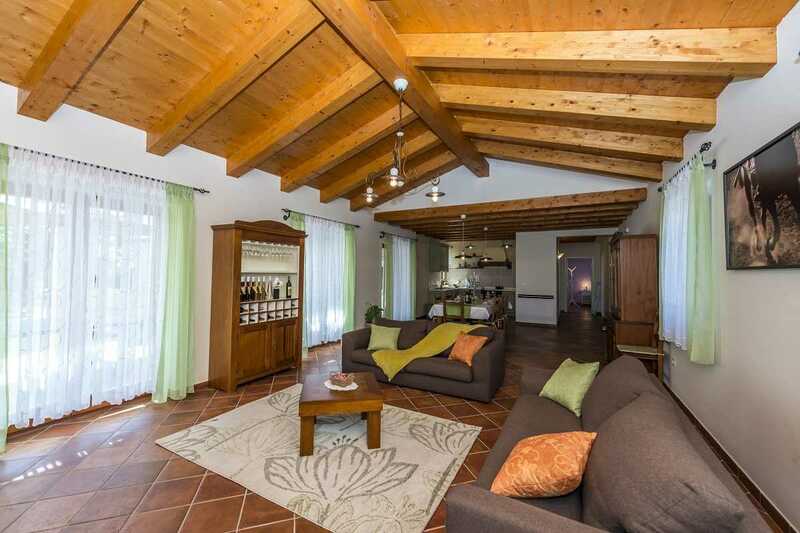 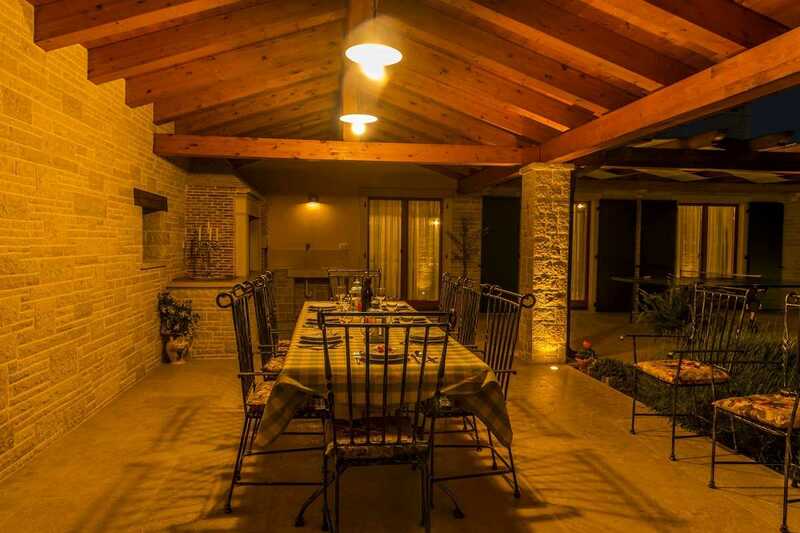 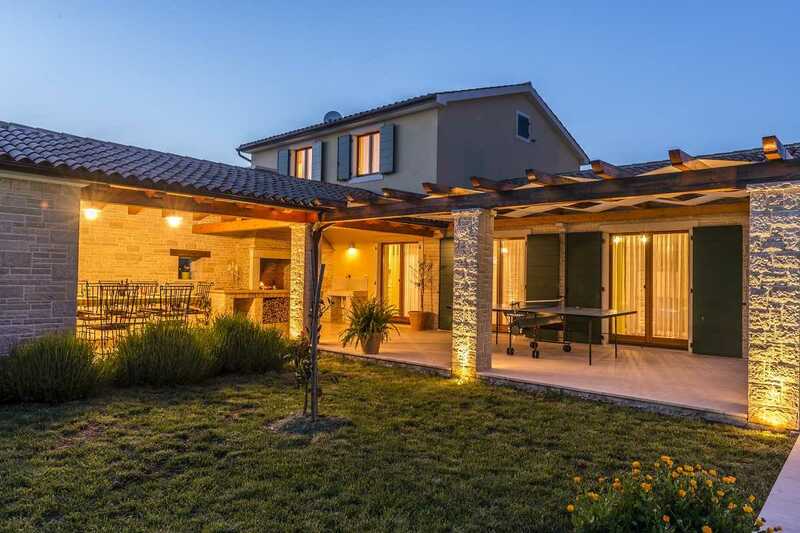 Family Villa in Istria with pool and privacy streches on 175 m2 and is divided on two floors. 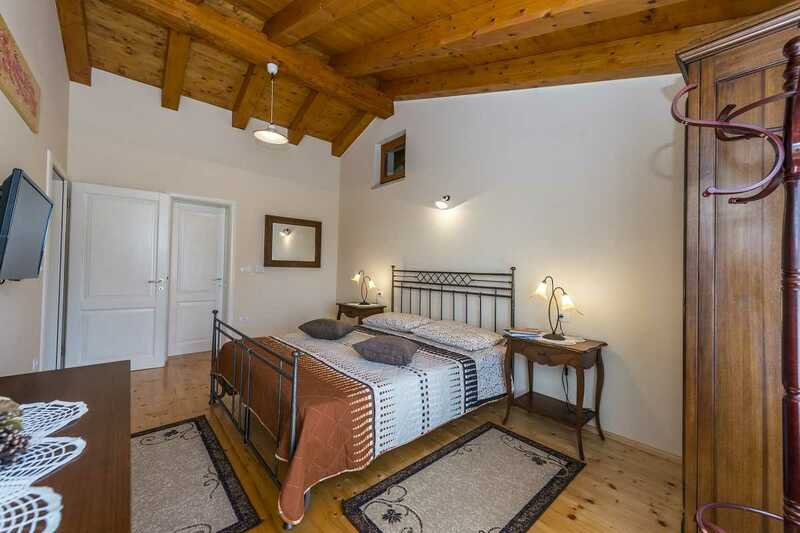 It consists of 4 bedrooms and can accommodate 8+2 persons. 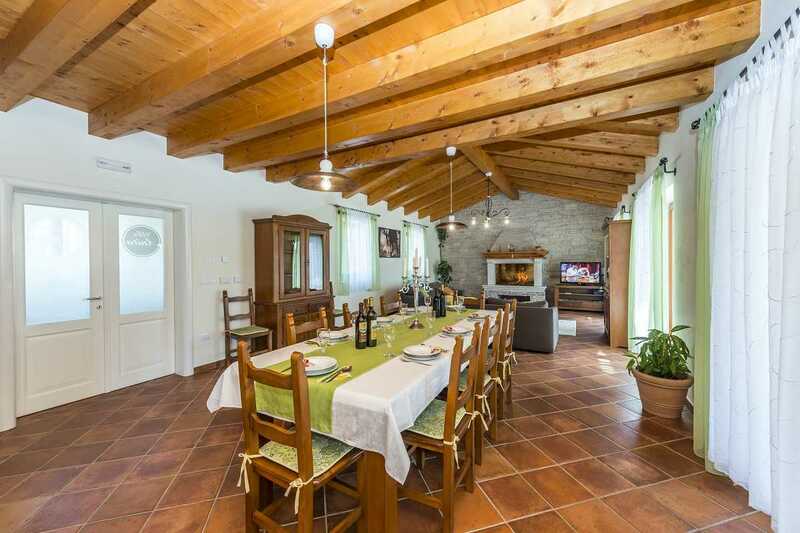 Kitchen with dining area, living room with fireplace, two bedrooms with 2 shower bathrooms are situated on the ground floor. 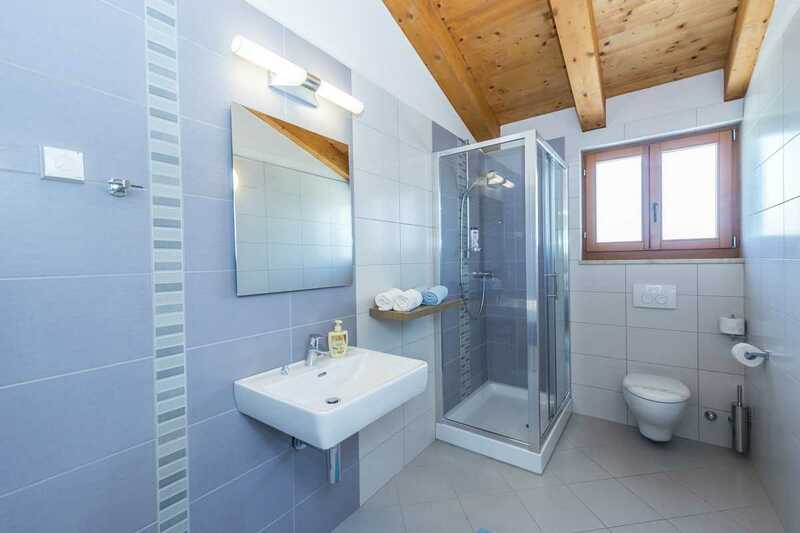 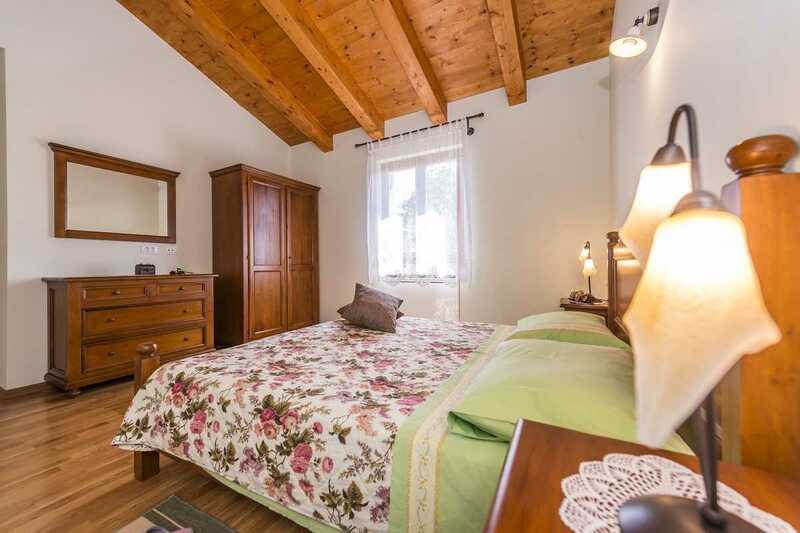 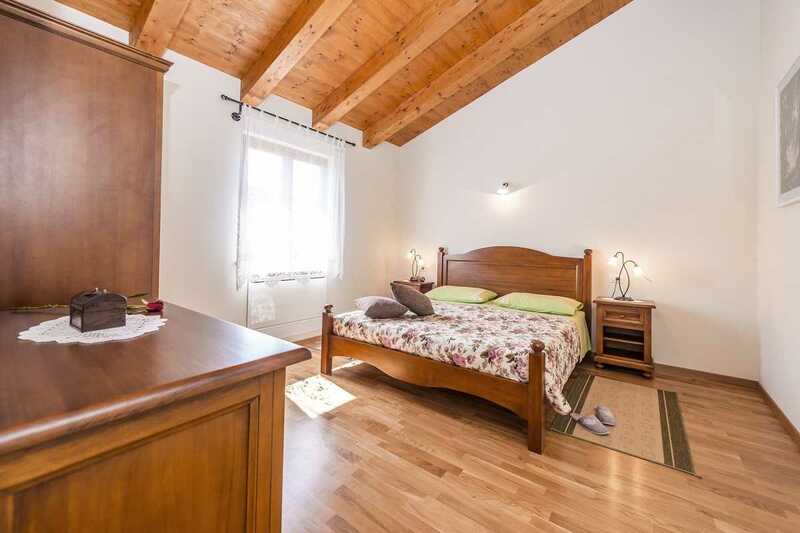 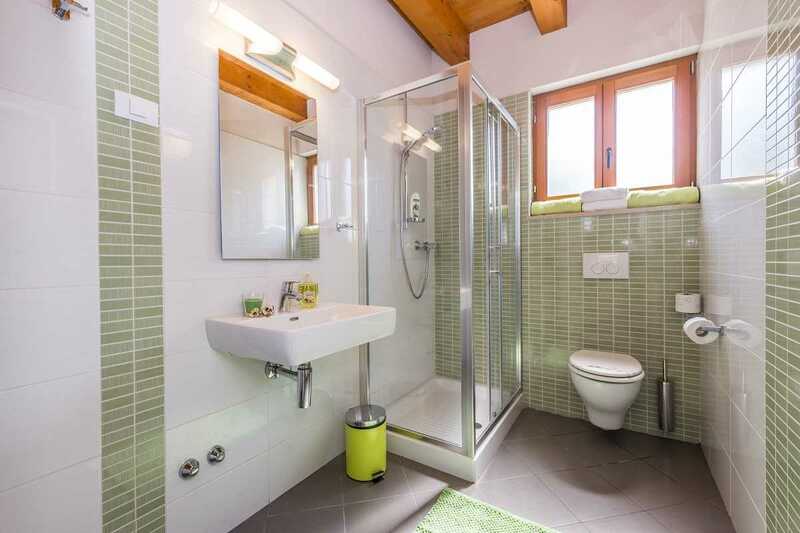 On the first floor there are also two bedrooms , each with private bathroom. 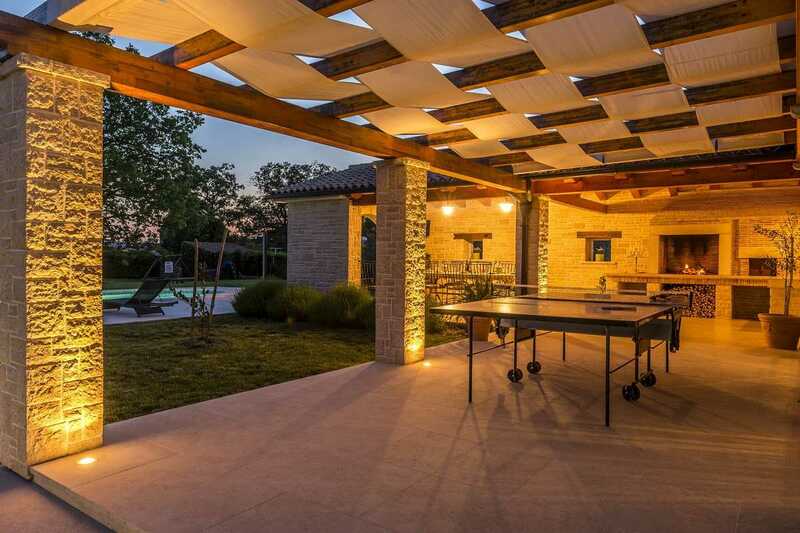 Area surrounding swimming pool stretches to 2000 m2. 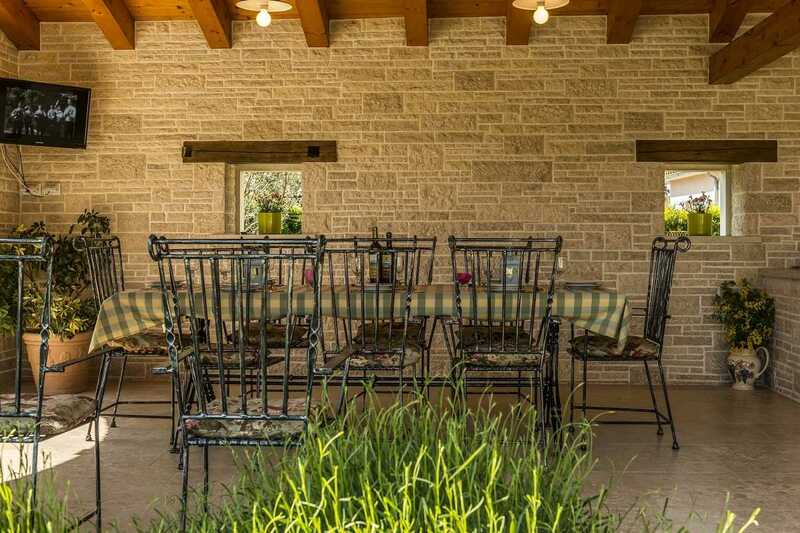 For children safety garden is surrounded with hedge and natural rock fence. 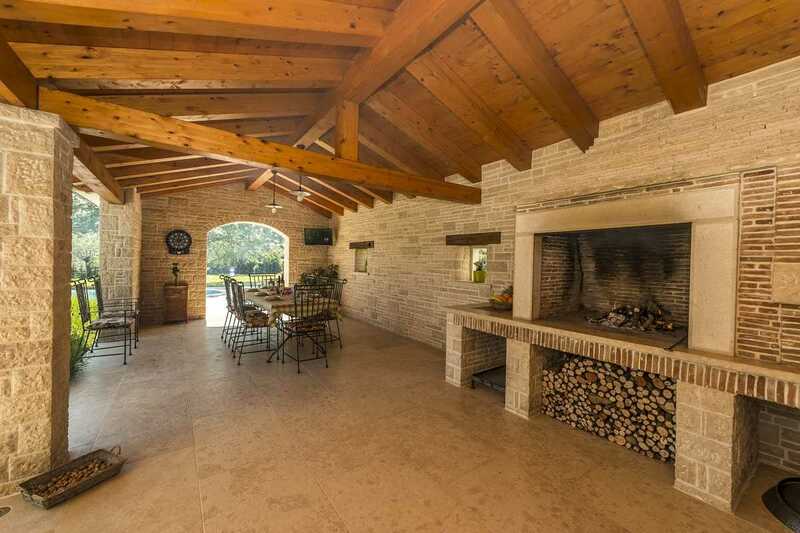 In the garden there is barbecue area with dining table and stone oven. 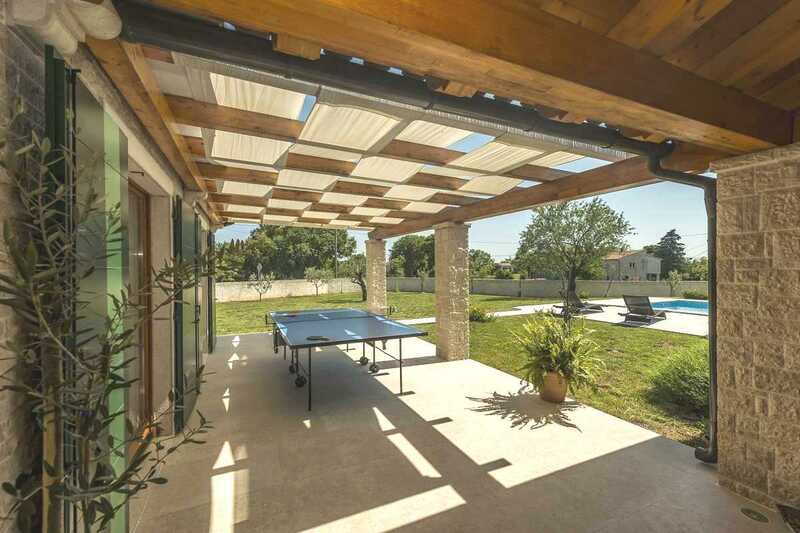 There is as well children playground, table tennis and parking space. 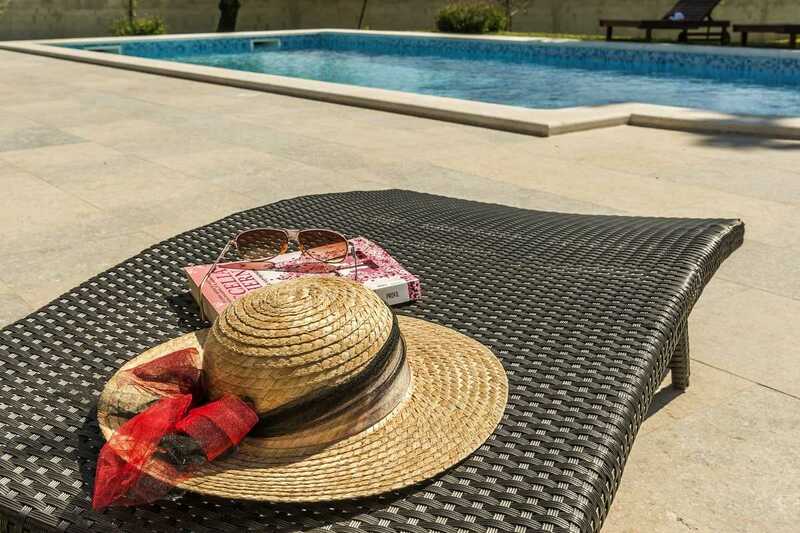 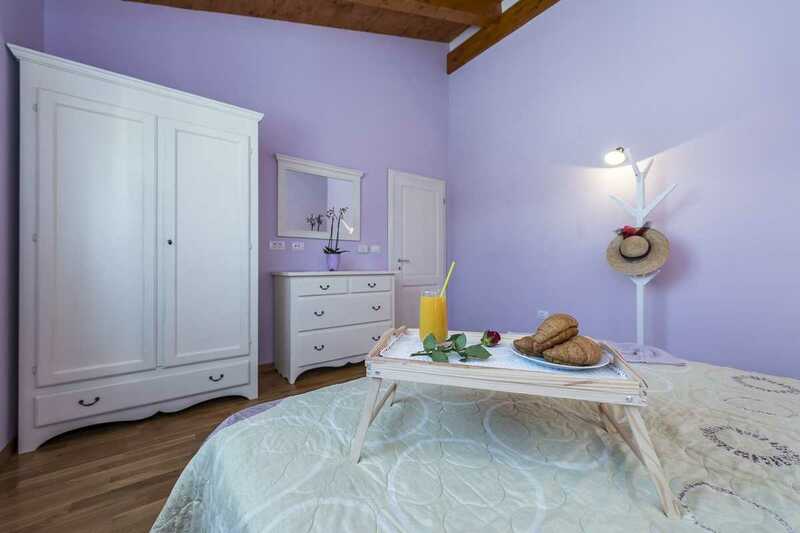 Villa is air-conditioned and equipped with digital satellite TV and wireless internet. 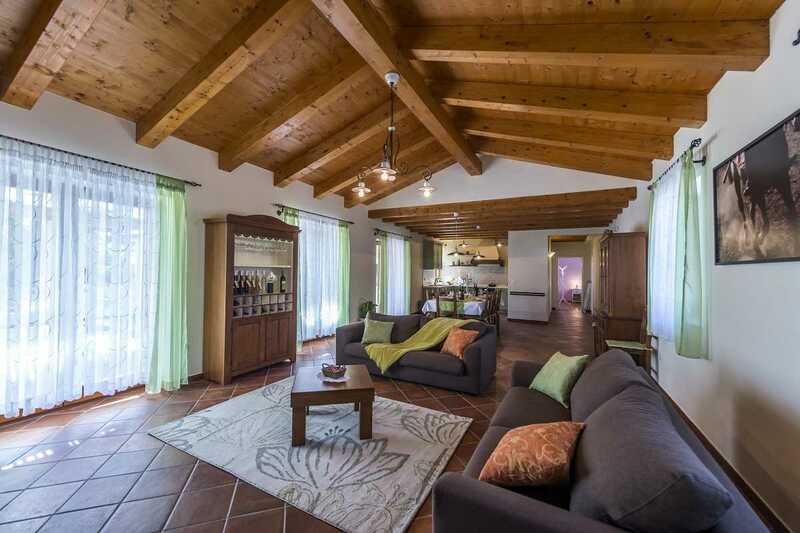 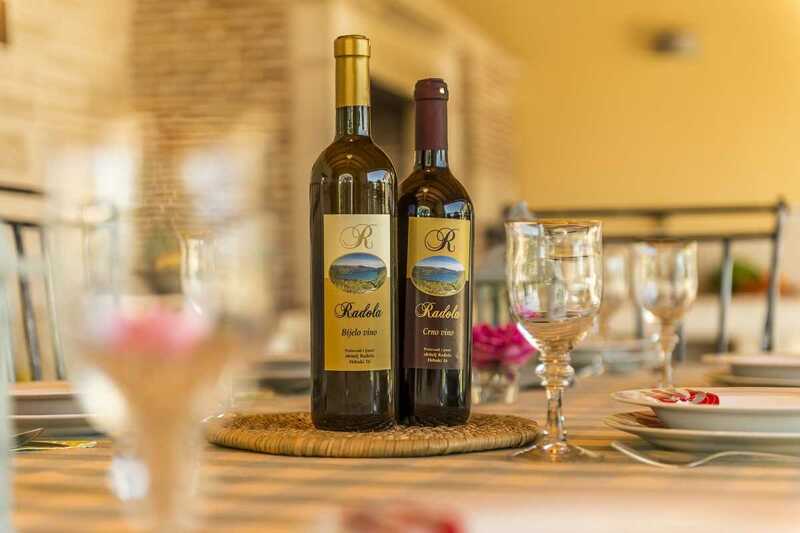 The owner has a small farm where you can buy wine, olive oil, various fruits and vegetables. 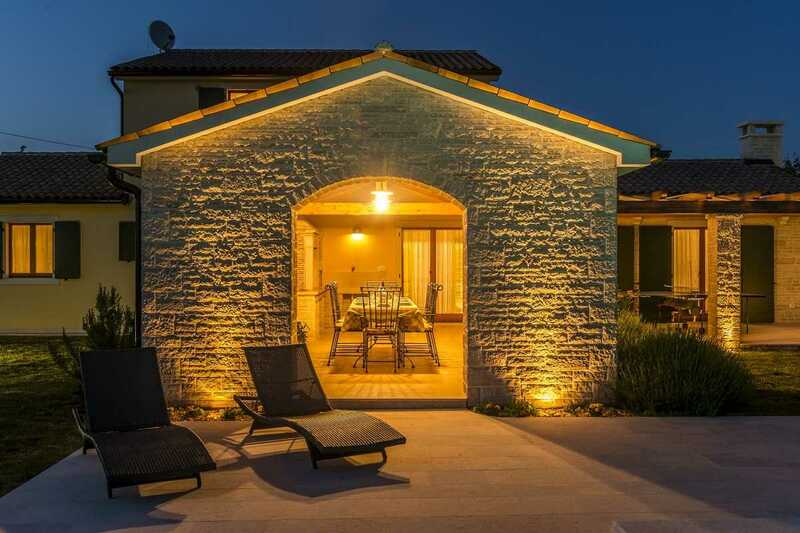 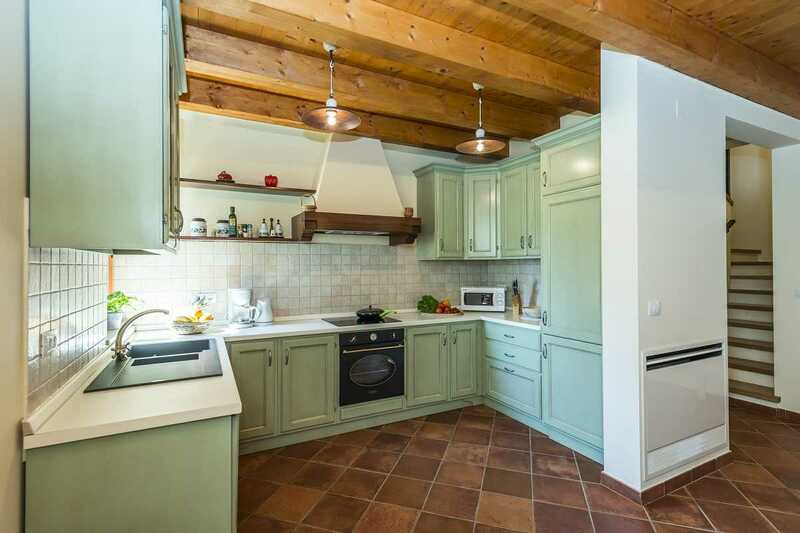 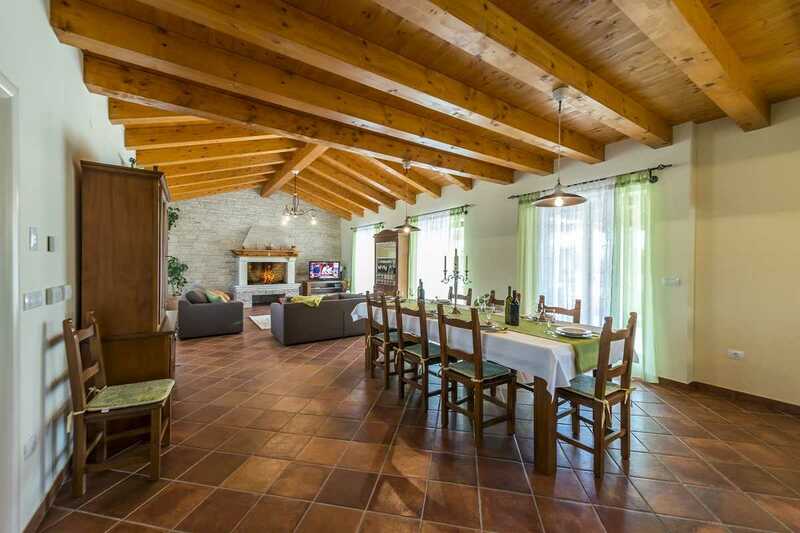 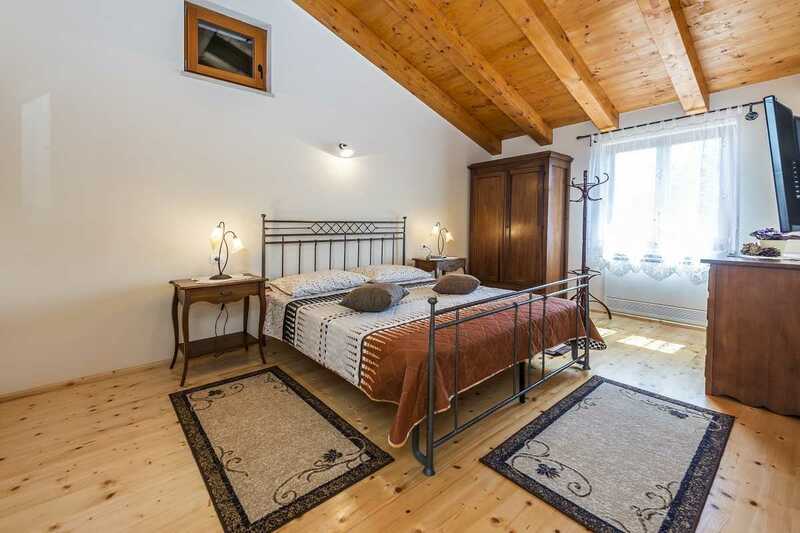 Family Villa in Istria with pool and privacy also offers a free horse riding tour in nature for riders and beginners. 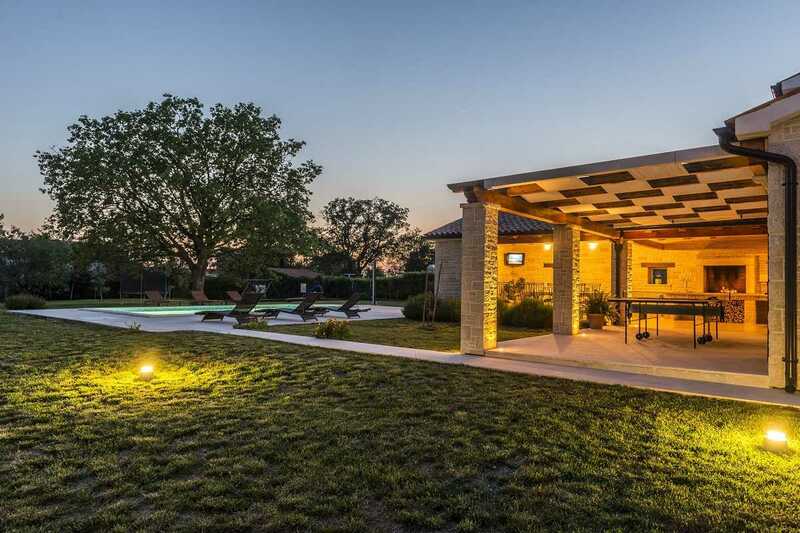 For the guests searching for more adventurous holiday, there is the Adrenalin Park Barban and the Quad Adventure Club few km away from the Family Villa in Istria with pool.